Summer sailstice : "Sail the summer winds"
Meteorological versus Astronomical summer—What’s the difference? Yesterday, June 21, 2013, was officially the first day of summer according to what the calendar tells us. That is the beginning of astronomical summer. However, in the meteorological and climatological world, summer has already been in full swing for 20 days. So why do meteorological and astronomical summer start on different days? In short, it is because the astronomical seasons are based on the position of the Earth in relation to the sun, whereas the meteorological seasons are based on the annual temperature cycle. People have used observable periodic natural phenomena to mark time for thousands of years. The natural rotation of the Earth around the sun forms the basis for the astronomical calendar, in which seasons are defined by two solstices and two equinoxes. 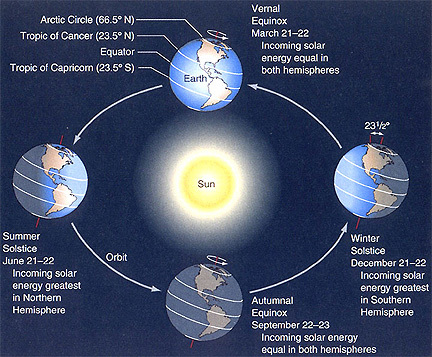 Both the solstices and equinoxes are determined based on the Earth’s tilt and the sun’s alignment over the equator. The solstices mark the times when the sun’s annual path is farthest, north or south, from the Earth’s equator. The equinoxes mark the times when the sun passes directly above the equator. Earth has seasons because our world is tilted on its axis with respect to our orbit around the sun. In the Northern Hemisphere, the summer solstice falls on or around June 21, the winter solstice on or around December 22, the vernal (spring) equinox on or around March 21, and the autumnal equinox on or around September 22. These seasons are reversed but begin on the same dates in the Southern Hemisphere. Because the Earth actually travels around the sun in 365.24 days, an extra day is needed every fourth year, creating what we know as Leap Year. This also causes the exact date of the solstices and equinoxes to vary. Additionally, the elliptical shape of the Earth’s orbit around the sun causes the lengths of the astronomical seasons to vary between 89 and 93 days. These variations in season length and season start would make it very difficult to consistently compare climatological statistics for a particular season from one year to the next. Thus, the meteorological seasons were born. We generally think of winter as the coldest time of the year and summer as the warmest time of the year, with spring and fall being the transition seasons, and that is what the meteorological seasons are based on. Meteorological spring includes March, April, and May; meteorological summer includes June, July, and August; meteorological fall includes September, October, and November; and meteorological winter includes December, January, and February. These seasons were created for meteorological observing and forecasting purposes, and they are more closely tied to our monthly civil calendar than the astronomical seasons are. The length of the seasons is also more consistent for the meteorological seasons, ranging from 90 days for winter of a non-leap year to 92 days for spring and summer. By following the civil calendar and having less variation in season length and season start, it becomes much easier to calculate seasonal statistics from the monthly statistics, both of which are very useful for agriculture, commerce, and a variety of other purposes. to connect the Caribbean Sea and Atlantic Ocean with the Pacific Ocean. Nicaragua's parliament is due to vote on Thursday 13 on one of the biggest infrastructure projects in Latin America's history – a trans-oceanic canal that is to be built and run by a Chinese company. If it goes ahead, the $40bn (£26bn) scheme, which is twice as expensive as Brazil's Belo Monte dam and likely to be three times longer than the Panama canal, looks set to transform global shipping and jump start the economy of this Central American nation. As well as the waterway, the draft agreement between Nicaragua and a Hong Kong registered firm — Nicaraguan Canal Development Investment Co Limited – includes provisions for two free trade zones, an airport and a "dry canal" freight railway. "This will be the largest project in Latin America in 100 years," Ronald Maclean, the executive fronting the operation in Managua told the Guardian. "If Nicaragua gets to do this, it is going to be a transformational project not only for Nicaragua but for the region." Meanwhile, the Panama Canal is undergoing its own expansion project that will be complete by 2015, so that vast so-called "post-Panamax" ships can fit through it again instead of having to go around South America. Given the government's large majority, parliamentary approval is expected to be a formality, but critics warn the plan is being rushed through without adequate scrutiny of the environmental impact, business viability and public well-being. A one-year viability study is now under way and the operators soon plan to tap international financial markets in New York, London and Tokyo for investment in a scheme that they say will be entirely privately funded. President Daniel Ortega is also said to be promoting the scheme in meetings with ambassadors from Brazil, Saudi Arabia and Canada. 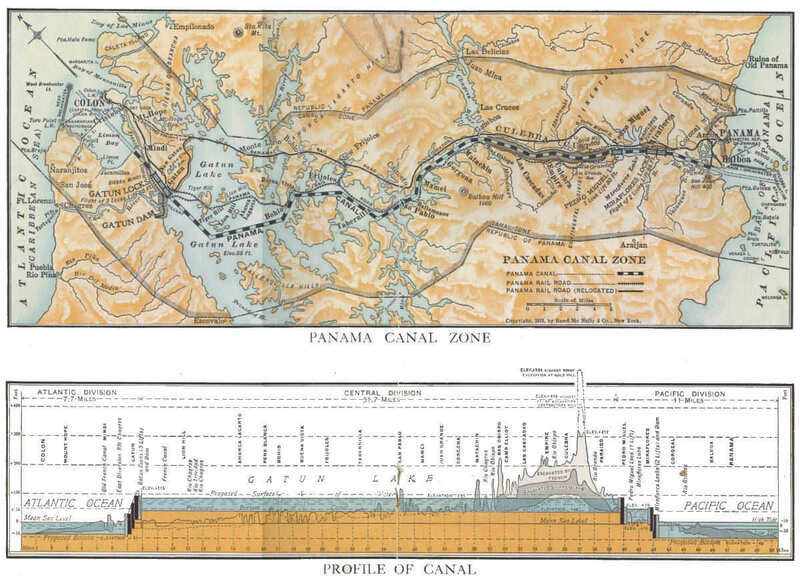 Although hydro-engineering techniques have advanced considerably since the 48-mile (77 km) Panama canal was completed in 1914, the logistical challenge will be enormous. The new canal, which will pass through a much wider stretch of land, is likely to be more than 250km long. It will also be much wider to allow passage by the biggest container ships. The project will be operated by HKDN — a Hong-Kong based firm set up last year that has established a holding company in the Caiman Islands. It will pay $10m a year for 10 years to the Nicaraguan government. Bigger benefits are expected in the wider economy. Paul Oquist, secretary of public policies of the presidency of the republic, said the Great Interoceanic canal will allow Nicaragua's GDP to double and employment to triple by 2018. Legislators have complained that congressional committees had only two days to review a bill that could shape the country for a century. "Given its complexity, the length of the concession and its importance for all Nicaraguans, this project deserves to be fully discussed and explained, seeking the broadest national consensus," noted the Nicaraguan Foundation for Economic and Social Development, an independent think-tank. "How can we as Nicaraguans be sure that the conditions stipulated in the bill are the best that could have been achieved?" Details of the possible route have yet to be disclosed, though it is thought likely that it will run through Lake Nicaragua, the most important source of freshwater in the country and a home to sharks and numerous other species. Jaime Incer, a renowned environmentalist and presidential adviser, urged caution. "There are alternatives for linking one ocean to the other, but there are no alternatives for cleaning a lake after a disaster has happened. 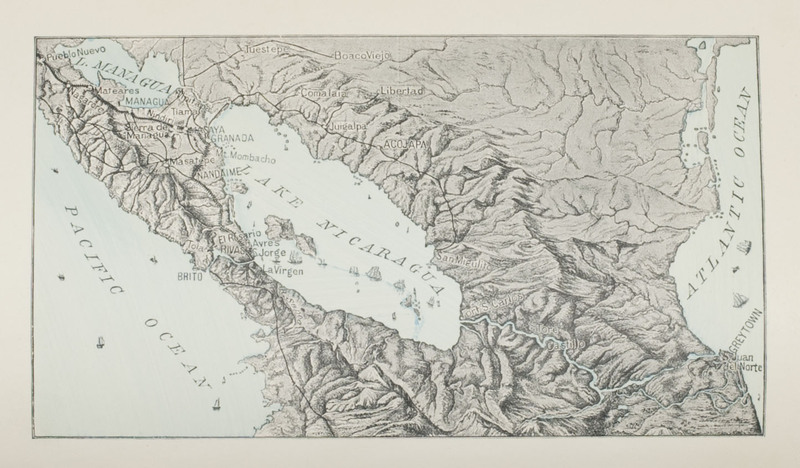 We don't have another Lake Nicaragua," he told the Confidencial newspaper. Indigenous groups also say they have not been adequately consulted. The operator says it has hired one of the world's leading consultancies, Environmental Resources Management to conduct impact assessments: "HKND Group has committed to develop the project in a manner that conforms with international best practices, delivers significant benefits to Nicaragua and its people, generates local job growth and economic development, honours the local population and heritage of the country, and serves the best interests of Central America and, indeed, the world." But little is known of the group behind the project, which is headed by Wang Jing, the head of one of China's biggest telecom firms Xinwei. It is unclear whether he has any experience in the field of hydroengineering, shipping or infrastructure, but earlier this year his company signed an agreement with the state-owned China Railway Construction Company, and Jing has met senior leaders in Beijing, including president Xi JInping. Margaret Myers, director of the China and Latin America programme at the Inter-American Dialogue, said Wang's involvement did not necessarily mean the involvement of the Chinese government. "The extent to which this project will increase 'China's' influence in the region and on global trade routes is unclear. This would depend on a wide variety of factors, including HKC's connections to the Chinese government and who else, if anyone, decides to invest in the project," she wrote. The Nicaraguan government was due to be a 51% shareholder in the projects, according to preliminary legislation passed last year. There is no mention of this in the latest bill, but Maclean said there has not been a change. "I think it involves a gradual transfer from the company to the government over the life of the concession and that eventually the government will own the canal," he said. Opposition lawmakers said immunity, tax breaks and other preferential treatment for foreign investors in a still-to-be determined project was a violation of nation sovereignty. The Sandinista Renovation Movement said it would oppose the bill and "any document that gifts a concession, privileges, exonerations and tax exemptions to an unknown company, for an unknown route, for a period of 100 years." "We are going to hand over the country's sovereignty without knowing where the canal is going to go, how much it is going to cost, its ecological impact or how long its construction is going to last," Independent Liberal party legislator Eliseo Núñez, told La Prensa. 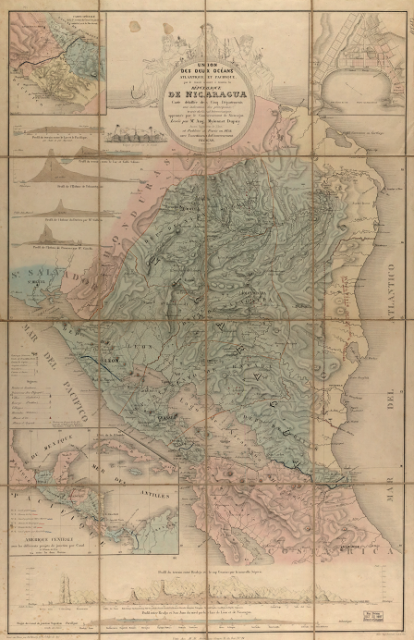 Reuters : Insight: Who wants to bet on a 'Nicaragua Canal'? Tiny fish play a major role in the ocean's food web. Commonly known as forage fish, small schooling fish like herring and anchovies are a crucial food source for larger, more familiar species like tuna, whales, and seabirds. The Pew Environment Group produced this animation to show how reasonable limits on catching for forage fish can help maintain a vibrant and productive Pacific coast ecosystem for generations to come. Small 'forage fish' are a crucial source for larger animals in the ocean ecosystem. Without little fish, there can be no big fish. Pacific coast fishing leaders should thus adopt safeguards to prohibit fishing of saury until it can be shown that this would not adversely impact the ecosystem. When people think of a healthy ocean, the first thing that comes to mind is usually a large iconic animal, perhaps a humpback whale leaping majestically out of the water or a pelican swooping low across the ocean surface. In my case, I’m hooked by the thrill of a big salmon as it pulls the line off my reel. All of these animals dine on vast schools of tightly packed prey fish, commonly referred to as forage fish. Scientists and fishermen are becoming increasingly aware of their singular importance as the fuel that drives productive coastal ecosystems. An infographic from The Pew Charitable Trusts shows an oceanic ecosystem chain. At the same time, global demand is growing to catch forage fish for secondary purposes such as chicken feed, fertilizer, and bait for industrial longline fishing overseas. But catching too many of these forage fish can severely disrupt the ocean life that they sustain. A lack of forage fish can have serious repercussions – especially for the fishing industry. Without little fish, there can be no big fish. That’s why many fishing and conservation organizations – including The Pew Charitable Trusts – are rightly advocating for new measures to safeguard forage fish. The Pacific Fishery Management Council, which is responsible for managing marine fish on the West Coast, will have the opportunity to adopt some of these safeguards as it meets in Garden Grove, Calif., this week. At the meeting, these West coast fishery leaders should decide to prohibit new commercial fishing on saury – a key forage fish – until it can be shown that it won’t harm bigger fish, whales, and seabirds that depend on saury as a food source. Doing so will enable the council to ask important questions before US forage fishing begins rather than waiting until industrial-scale fishing boats are catching these important fish. Internationally, these forage fish – including sardines, anchovies, and saury – already account for more than a third of the total catch of wild marine fish, with 90 percent of it processed into fish meal or oil. To its credit, the council unanimously adopted a fishery ecosystem plan that begins to consider how everything is connected in the ocean. The plan’s top priority is to make sure that no new fishing begins on forage species without first evaluating the effect on the larger ecosystem and on other predator fish such as salmon, tuna, and lingcod. Forage fish eat tiny plants and animals drifting on the ocean’s surface and, in turn, become a crucial food source for whales, seabirds, and bigger fish. Diminishing forage fish populations can have serious consequences for the larger ecosystem. Just this year, wildlife rehabilitation centers in California have treated more than 1,500 emaciated and dehydrated sea lion pups at a time when prey fish were scarce. Pacific saury is exactly the type of currently un-fished forage species that the council’s new ecosystem plan intends to protect. This dart-shaped fish makes up as much as 78 percent of the diet of the sooty shearwater, a type of seabird that is now arriving by the millions along the California shore from breeding grounds near Chile and New Zealand. We know that saury is already extensively fished elsewhere around the world, and its relatively high abundance makes it a potential target for fishermen here on the West Coast. As it stands, fishing could begin on saury at any time with no restrictions – and no consideration of how it would affect predators. It is one the Pacific Fishery Management Council can – and should – avoid by approving restrictions on forage fishing at its meeting this week. In April, the Pacific fishery council’s chairman cited the strong public testimony of the seafood industry, birding community, scientists, and fishermen in adopting a meaningful ecosystem plan. Protecting saury would help to maintain a productive ocean along the Pacific coast while demonstrating that regional fishery managers are serious about moving ecosystem-based management from theory into practice. Some may wonder why we should act now. After all, no one on the West Coast is currently fishing for forage fish like Pacific saury, sandlance, or various kinds of smelts. To answer this concern, it’s worth looking north to Alaska. North Pacific fishery managers proactively protected dozens of unfished forage species more than a decade ago with the strong support of commercial fishermen. As one industry organization noted at the time, fishing for predators and their prey is akin to burning a candle at both ends. I've been fishing almost as long as I can remember. Yet the thrill of being out on the water with friends, and the rush when a salmon or tuna bends my fishing rod, will never grow old. It’s time for regional managers on the Pacific coast and elsewhere in the country to acknowledge what those of us on the water already know: Little fish are a big deal. Tutorial which provides a high level overview of the types of nautical Charts published by Land Information New Zealand (LINZ). Includes a demonstration of how to access Chart images on the LINZ website. This video shows the panic of some people trying to outrun the tsunami that hit Japan in 2011. You can see in the video the horrific force of the tsunami as it hits and how fast the tsunami was. People trying to climb a hill to get away from the waves, while others are trying to help. The video also shows the courage of other people that ran back down the hill to try and save some people, only to be swept away themselves. Despite their efforts, the speed of the rising water engulfs the person they are trying to save -- and one of the rescuers appears to disappear. The man in the red jacket can be seen through the trees. Maybe the fastest man in the world could run a 6-minute mile for 6 miles (10 kilometers) while a terrifying wall of water chased him through a coastal city. Yet a myth persists that a person could outrun a tsunami. That's just not possible, tsunami safety experts told LiveScience, even for Usain Bolt, one of the world's quickest sprinters. Getting to high ground or high elevation is the only way to survive the monster waves. "I try to explain to people that it doesn't really matter how fast [the wave] is coming in, the point is that you really shouldn't be there in the first place," said Rocky Lopes of the National Oceanic and Atmospheric Administration's Tsunami Mitigation, Education and Outreach program. But because they didn't know the warning signals, ignored them or just couldn't get to safety in time, more than 200,000 people died in tsunamis in the past decade. And it's not just tsunamis: Underestimating the power of the ocean kills thousands every year in hurricane storm surges. Tsunamis gain height as they approach the shore. A tsunami is a series of waves caused by a sudden underwater earth movement. The kick-off is akin to dropping a big rock in a children's pool filled with water. In an ocean basin, tsunami waves slosh back and forth, reflecting off coastlines, just like the (much smaller) waves in a child's pool, Lopes said. Because many people mistakenly think a tsunami is a single wave, some return to the beach after the first wave hits, Lopes said. On March 11, 2011, a man in Klamath River, Calif., died after he was swept away by a second wave while taking pictures of the Japan tsunami, Lopes said. Tsunamis race across the deep ocean at jet speed, some 500 mph (800 km/h). Near shore, the killer waves slow to between 10 to 20 mph (16 to 32 km/h) and gain height. If the offshore slope is gentle and gradual, the tsunami will likely come in looking like a rapidly approaching tide. If the transition from deep ocean to shoreline is steep and cliff-like, then the wave will resemble a movie-like specter, arriving as an onrushing wall of water. Either way, standing at the beach, at sea level, means losing perspective. "It's a matter of optical illusion and how fast your eye interprets the speed of moving water," Lopes said. "People just can't estimate the speed of the wave, and [so they] get themselves in trouble." Linger too long and you may run out of time to find somewhere safe. "If they're on the beach, there's no way in heck they're going to outrun it," said Nathan Wood, a tsunami modeler with the U.S. Geological Survey in Portland, Ore.
"Technically, if you're 10 blocks in, and the waves are full of debris [and slowing from friction], there's a chance, but for most people that's not realistic," he said. So if the beach starts shaking or the ocean looks or sounds strange, head for the highest elevation around immediately. "Sometimes the only warning you may get are these environmental clues," Lopes said. "These are the indicators that you are in serious danger." High ground is best in situations like these; steel-reinforced concrete buildings or parking structures work in a pinch, but even climbing trees will help if nothing else is available. Some people who sought refuge in trees survived the 1960 Chile tsunami, though others were torn from their branches. Storm surge floods a section of Coast Guard Station New York, located on Staten Island, as Hurricane Sandy approaches New York Harbor, Monday, Oct. 29, 2012.
CREDIT: U.S. Coast Guard photo by Petty Officer 2nd Class Erik Swanson. Another fatal mistake people make when fleeing from tsunamis is underestimating how far the water can travel inland, Lopes said. In this graphic video of the 2011 Japan tsunami, shot from a hillside, residents fleeing the tsunami are nearly caught by the powerful wave even after it had already destroyed half the town. Tsunamis can travel as far as 10 miles (16 km) inland, depending on the shape and slope of the shoreline. Hurricanes also drive the sea miles inward, putting people at risk. But even hurricane veterans may ignore orders to evacuate. As with tsunamis, a lack of understanding lays at the heart of this willingness to risk everything, according to studies by NOAA. "We've consulted with social scientists and communications experts, and the number one reason why people stay is that they don't understand storm surge," said Jaime Rhome, storm surge team leader at the National Hurricane Center in Miami. Hurricane evacuation orders are due to dangers from storm surges, not wind, Rhome explained. "People are enamored with the wind, but it's storm surge that has the greatest potential to take life," he said. "The majority of deaths occurring in hurricanes are from drowning, not wind." Storm surge is the force of hurricane winds driving the ocean landward, which raises sea level. The water penetrates miles inland. Waves kicked up by the hurricane travel on top of the storm surge, pounding everything in their path. People who go out in the surge — residents who wait too long to evacuate, for example — may find themselves knocked off their feet and swept away. "People have a hard time imagining seawater can come that far inland," Rhome said. "They can't envision the ocean can rise that high or be that violent." After Cuban scientists studied the effects of climate change on this island’s 3,500 miles (5,630 kilometers) of coastline, their discoveries were so alarming that officials didn’t share the results with the public to avoid causing panic. The scientists projected that rising sea levels would seriously damage 122 Cuban towns or even wipe them off the map. Beaches would be submerged, they found, while freshwater sources would be tainted and croplands rendered infertile. In all, seawater would penetrate up to 1.2 miles (2 kilometers) inland in low-lying areas, as oceans rose nearly three feet (85 centimeters) by 2100. Climate change may be a matter of political debate on Capitol Hill, but for low-lying Cuba, those frightening calculations have spurred systemic action. Cuba’s government has changed course on decades of haphazard coastal development, which threatens sand dunes and mangrove swamps that provide the best natural protection against rising seas. “The government ... realized that for an island like Cuba, long and thin, protecting the coasts is a matter of national security,” said Jorge Alvarez, director of Cuba’s government-run Center for Environmental Control and Inspection. It’s a predicament challenging the entire Caribbean, where resorts and private homes often have popped up in many places without any forethought. Enforcement of planning and environmental laws is also often spotty. With its coastal towns and cities, the Caribbean is one of the regions most at risk from a changing climate. Hundreds of villages are threatened by rising seas, and more frequent and stronger hurricanes have devastated agriculture in Haiti and elsewhere. “Different countries are vulnerable depending on a number of factors, the coastline and what coastal development looks like,” said Dan Whittle, Cuba program director for the New York-based nonprofit Environmental Defense Fund. He said the Cuban study’s numbers seem consistent with other scientists’ forecasts for the region. The Associated Press was given exclusive access to the report, but not permitted to keep a copy. The demolition nearby of a former swimming school was halted due to the lack of planning, with the building’s rubble left as it lay. Now inspectors have to figure out how to fix the mess without doing further environmental damage. Alvarez said the government has learned from such early mistakes and is proceeding more cautiously. Officials also are also considering engineering solutions, and even determining whether it would be better to simply leave some buildings alone. For three decades Guanabo resident Felix Rodriguez has lived the dream of any traveler to the Caribbean: waking up with waves softly lapping at the sand just steps away, a salty breeze blowing through the window and seagulls cawing as they glide through the crisp blue sky. Now that paradise may be no more. “The sea has been creeping ever closer,” said Rodriguez, a 63-year-old retiree, pointing to the water line steps from his apartment building. “We’d all like to live next to the sea, but it’s dangerous ... very dangerous,” Rodriguez said. Cuban officials agree, and have notified him and 11 other families in the building that they will be relocated, though no date has been set. Rodriguez and several other residents said they didn’t mind, given the danger. Since 2000, Cuba has had a coastal protection law on the books that prohibits construction on top of sand and mandates a 130-foot-wide (40-meter) buffer zone from dunes. Structures that predate the measure have been granted a stay of execution, but are not to be maintained and ultimately will be torn down once they’re uninhabitable. Some 10,000 sanctions and fines have been handed down for illegal development, according to Alvarez. Demolitions have so far been limited to vacation rentals, hotel annexes, social clubs, military installations and other public buildings rather than private homes. Some 900 coastal structures have been contributing to an average of about 4 feet (1.2 meters) of annual coastline erosion, according to geologist Adan Zuniga of Cuba’s Center for Coastal Ecosystems Research, a government body. Building solid structures on top of dunes makes them more vulnerable to the waves. Cuban officials have tried to get around that choice by replenishing lost sand in Varadero, with plans to do the same next year at the Cayo Coco resort. But beach replenishment is an expensive remedy that Cuba can little afford to carry out nationwide. Zuniga said it costs $3 to $8 per cubic meter, and a single beach might contain up to 1 million cubic meters of sand. There are no publicly available figures on how many structures have been or will be razed across Cuba. Alvarez and Zuniga said officials are evaluating problem buildings on a case-by-case basis, taking into account the needs of local economic development. Other installations are gradually being moved inland, and government officials are applying stricter oversight on new construction, they said. In May, authorities unveiled the near-completed Hotel Melia Marina Varadero and yacht club, which lies at a safe remove from the sea. Cuba’s Communist government wields a unique advantage, one no other country in the region claims: The government and its subsidiaries control the island’s entire hotel stock, sometimes teaming with minority foreign partners on management. Cuba’s military-run Gaviota Group alone controls more than three-dozen major hotels. Whittle said the island can learn some things from Costa Rica, where significant swaths of coastal and inland terrain have been protected even as tourism flourishes. For Cuba, there’s a lot riding on striking the right balance. “Will Cuba become a sustainable destination like Costa Rica?” Whittle asked. 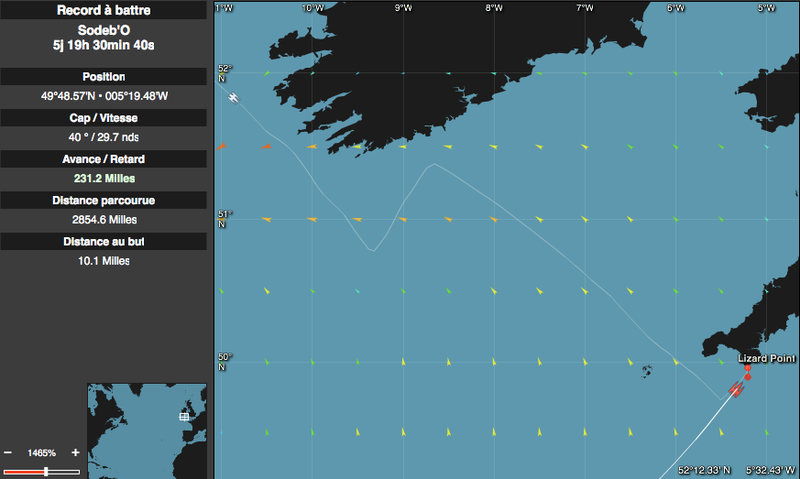 In his quest to beat the North Atlantic single-handed sailing record, Francis Joyon on board IDEC, has smashed Thomas Coville’s 2008 record by 16 hours, 34 minutes and 30 seconds. 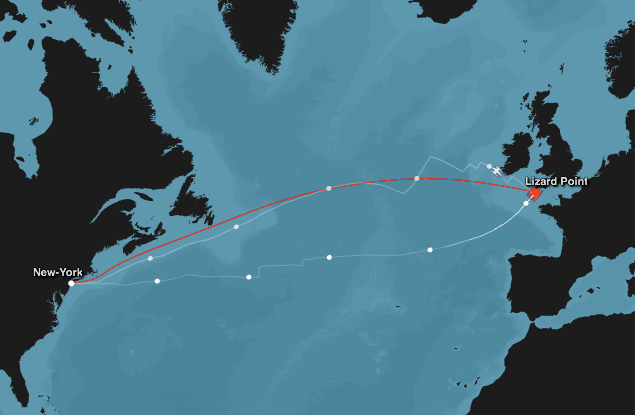 Joyon completed his journey in a time of 5 days, 2 hours, 56 minutes and 10 seconds. the unique feat of holding all four major solo offshore sailing records. part of the Deepwater Horizon oil spill NRDA at a depth of 62 m.
A remotely operated vehicle has come face-to-face with the world's longest-known bony fish -- and video footage of the rare encounter has now surfaced on YouTube. The giant oarfish was found in the northern Gulf of Mexico, where four other observations were reported. These spottings happened between 2008 and 2011, and they recorded the fish at its deepest undersea level yet, at least 463 meters below the surface. The giant oarfish, named Regalecus glesne, is rarely seen alive. Most observations come from the bizarre creature washing ashore. But this new video sheds light on how the fish may behave in its natural habitat. A paper on these observations was published online in the Journal of Fish Biology on June 5, 2013. Ichthyologist Carl Leavitt Hubbs (right) and colleague display a giant oarfish in 1968. Oarfish, also known as ribbonfish and king of herrings, is a deep water creature that can grow up to a size of 50 feet (15 meters) in length and weigh up to 600 pounds (272 kg). This deep sea creature is officially the longest bony fish living at a depth of between 66 feet and 1000 feet. It is known that when oarfish gets sick or is near to death it comes on the surface of the water and sometimes to the shore, that’s why we have ancient tales of seeing sea serpents coming out of the water surface. A 16 feet oarfish that was found on the shore of Bermuda beach in 1860 was described as sea serpent (image below). There are no scales on the fish and it’s not edible due to its gelatinous flesh. The above photography was actually taken in 1996 and shows a giant oarfish (Regalecus glesne) found on the shore of the Pacific Ocean near San Diego, California.